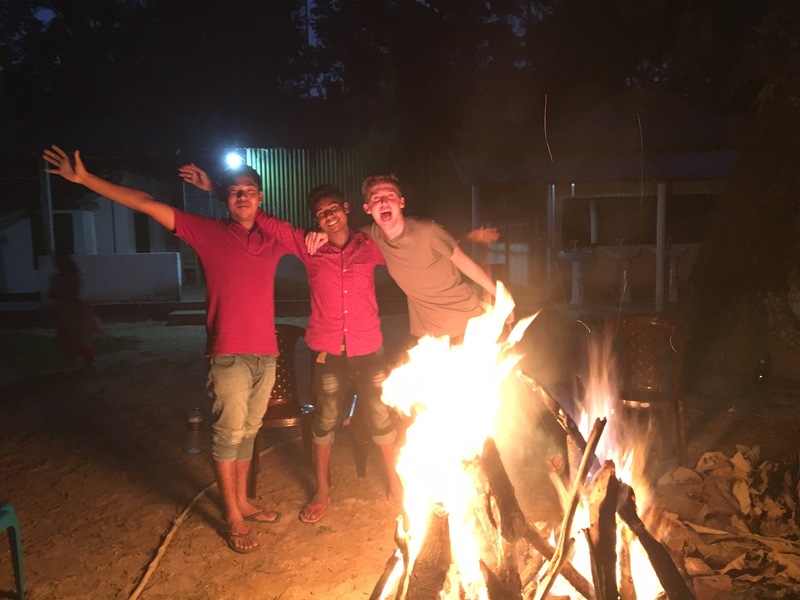 I’m currently based in Bangladesh as part of a team of community workers. Follow me over on Instagram (@madisonbeachphotos) and here on this blog to keep updated with the adventures and challenges faced when living Asia..
One of the biggest cultural differences to the UK is the food. Bangladeshi’s eat rice for every meal of the day and often don’t feel full until they’ve eaten rice. As a fan of rice I wasn’t apprehensive about my new diet but after two months I can confidently say I am now 80% rice. And here in Bangladesh the only dessert we have been served is rice pudding! As an owner of a very sweet tooth this has been the hardest thing to adjust to food wise, I am especially missing cheesecake. 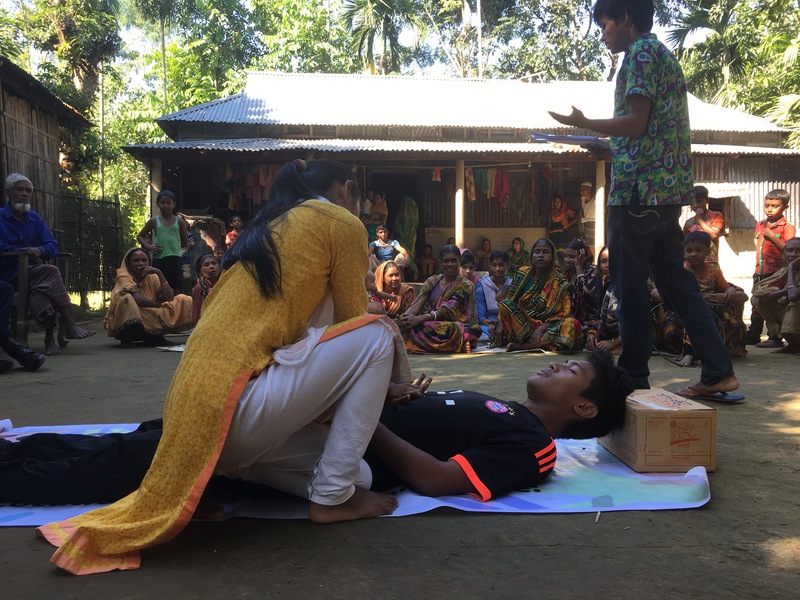 We have been working incredibly hard delivering important workshops to those living in rural Bangladesh. As these communities are often cut off from main cities these workshops provide the residents with vital information about health and social issues affecting their villages. 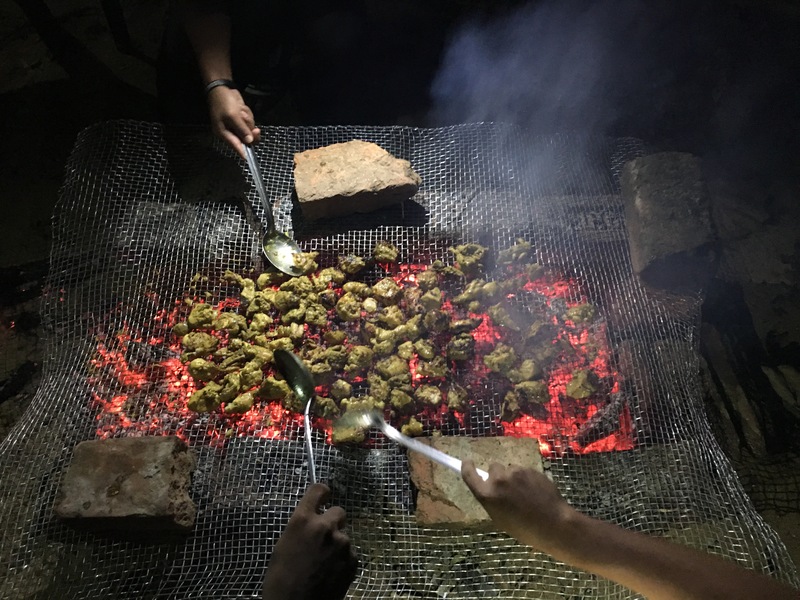 So yesterday after a long days work and planning for future projects in our community we decided to have a Bangla Style BBQ to celebrate our hard work so far. 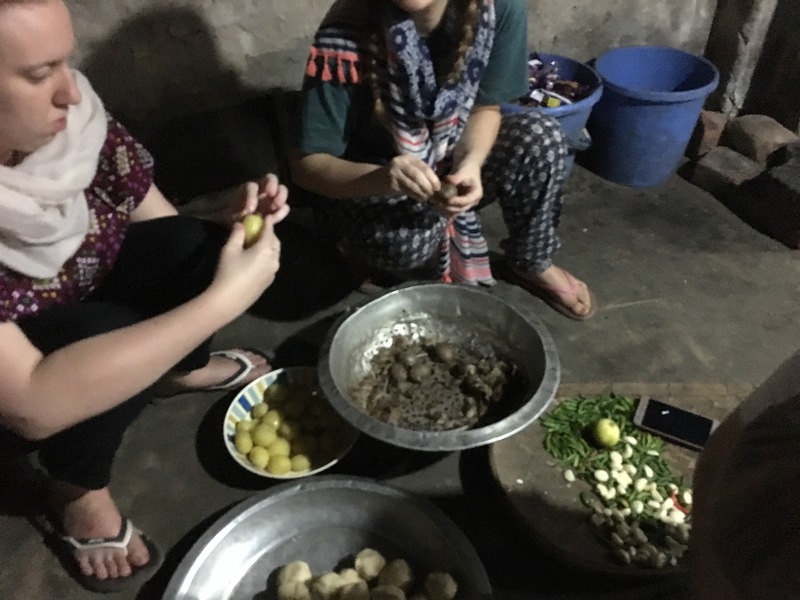 It was a brilliant experience as I got to cook and see first hand how the meat is killed (!) and prepared. I think it’s incredibly important to avoid burying your head in the sand when it comes to where your food comes from. 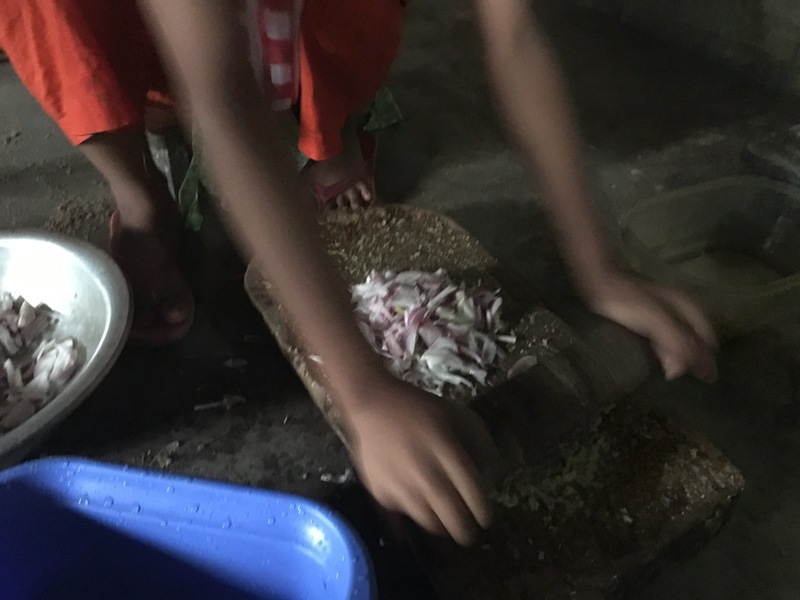 I got to peel potatoes and make the roti (round flatbread) although our resident chef tried to subtly fix all my attempts. We ended up pouring a bit too much fuel on the fire; it was more reminiscent of a bonfire than a BBQ. We had a long wait for it to die down so we didn’t loose our eyebrows turning the chicken. But we did end up with a delicious meal of chicken, garlic potatoes and roti under the night sky filled with stars. There was no rice in sight and we all went to bed full! Although I did look forward to rice for breakfast..